This is an eLearning online software. The administrator of this software can create dynamic courses, add chapters to courses and can dynamicaly create MCQs and their options with ease. This eLearning software can be customized for any institute for online education. For the user, the MCQs swap automatically each time the user attempts to pass an exam. Wrong answers are being displayed after each exam. The user can pass a course in multiple attempts, i.e. can resume study right from where he left. A management information system developed for the National Maternal Neonatal & Child Health (MNCH) Program, Govt. of Pakistan. The Ministry of Health had to train 12000 Community Midwives (CMWs) all around Pakistan till 2012. This MIS efficiently manages the quantitative information about more than 112 CMW schools and more than 8000 CMWs of Pakistan. The MIS generates dynamic graphical and tabular reports. An online finance and expenditure management software developed for National Maternal, Newborn and Child Health (MNCH) Program, Ministry of Health, Government of Pakistan. Online data entry from districts. 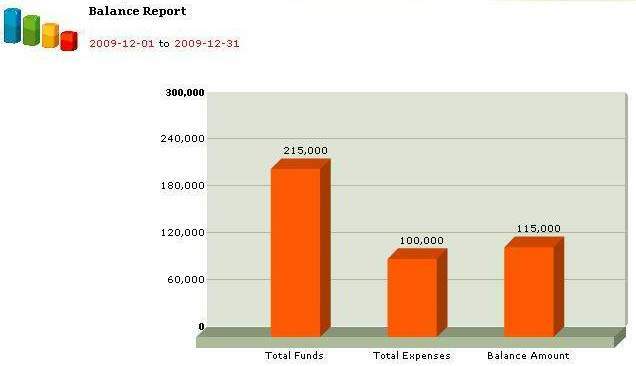 Dynamic graphical and tabular reports generation for expenditure statements and complete financial reports. The online centralized database for the planning, management & analysis of the organization's activities via world wide web. Staff can create their monthly activities and they can update the status of the activities to completed, pending or cancelled and can write detailed descriptions for the completed or incomplete tasks. The boss can search the planner for any activity, any focal person, by date range (daily, weekly or monthly tasks). This software can be customized for any business concern. A complete software for a libray contaning thousands of books, files or folder. This software helps to keep track of all books, files and folders. Add the book's or folder's name, cabinet #, cabinet's partition#, category and other related information to the software. Then anyone having the username and password of the software can search a book or a folder in seconds by searching the database with 6 options: 1- Search by category, 2- Search by cabinet#, 3- Search by Cabinet# + Partition #, 4- Search by File Name, 5- Search by Year of the publishing of the book or the related documents of the folder, 6- Serach the name of the person who manges that folder/file. An ideal software for real estate consultants. Registration of "Property For Sale" with 6 dynamic search options. Separate control panels for "Property For Rent", "Wish Lists", Advertisements, Expenses and Contacts management. The software can be customized to meet the business needs of any real estate agent. Web-based Quran in Arabic, Urdu & English Languages with sura search, verse search and word search facility. English, Arabic & Urdu text is being displayed using unicode. All text can be copied. Web-based financial software suitable for any organization. It keeps the complete record of funds and expenses and generates dynamic balance report for a certain time period.